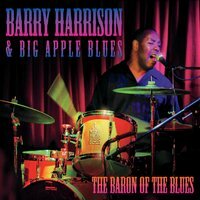 Barry is blues royalty; a true legend among blues drummers and connoisseurs. Thus, his name “the Baron of the Blues,” as musicians often introduce him, is a perfect fit with his real name, Baron. Barry’s playing personifies the quintessential blues-based drummer.